Marcus Needs a Lifesaving Kidney Transplant! Marcus Jordan is only 52-years old, and he is desperately fighting for his life. 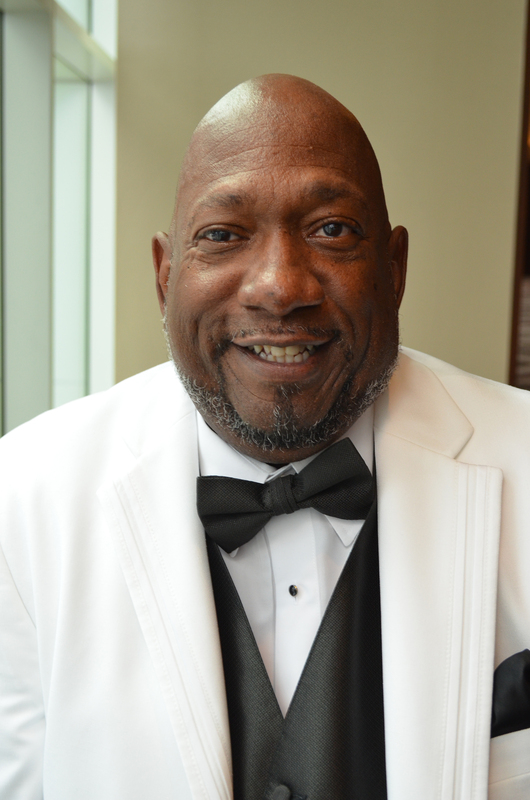 In 2008, Marcus was diagnosed with renal cell carcinoma, a serious and often fatal cancer that develops in the lining of the renal tubules near the kidneys. As a result, Marcus underwent numerous chemotherapy treatments and required surgery to remove his kidney; unfortunately the cancer aggressively spread, and Marcus is now without both kidneys. In order to survive while he waits for new kidneys, Marcus undergoes extensive and life-sustaining hemodialysis treatments. These dialysis treatments are only temporary, and without a lifesaving kidney transplant in his near future, Marcus’s physicians have told him that both his time and options will sadly run out soon. After extensive medical testing, Marcus has been listed for transplant at Vanderbilt University Medical Center. He is anxiously waiting for the telephone call that will save his life, and seeking the gift-of-life through a living kidney donor. Marcus is a kind, loving and loyal friend who would go out of his way for anyone in need. He has spent his whole life active in his church and is highly committed to the Lord. He has a college degree in Theology from Holy Trinity College & Southern Episcopal Church of St. Petersburg, Florida. In 1985 Marcus was ordained and has faithfully helped families in need, performing more than 5000 hours of community service over the years and committing his life to the Lord. If you or someone you know is interested in helping a grateful and kind man, please consider the invaluable donation of a kidney to Marcus. To find out whether you are a match and if interested in learning more about kidney donation to Marcus, please contact Vanderbilt University Kidney Transplant Center and ask to speak to someone about kidney donation: 615-936-0695. While Marcus waits for his lifesaving kidney transplant, his out-of-pocket medical expenses are mounting. Co-pays and deductibles, health insurance premiums, medical bills, lab fees, and transportation costs are quickly adding up. Marcus is unable to work while he waits for his transplant, and as a result living expenses are becoming a financial burden for him. Once he has his transplant surgery, Marcus will be required to temporary relocate closer to the transplant center, hire a caregiver full-time, and require costly post-transplant medications to halt rejection that are needed for the rest of his life! As you can see, Marcus is in great need of your financial support and he cannot go it alone. To help with this financial burden, a fundraising campaign in Marcus’s honor has been established with Help Hope Live, a trusted nonprofit organization that has been providing community-based fundraising guidance to patients and their families for more than 30 years. All donations are tax-deductible to the full extent allowed by law, are held by Help Hope Live in the South-Atlantic Kidney Transplant Fund, and are administered by Help Hope Live for transplant-related expenses only. To make a donation to this fundraising campaign, please click on the yellow DONATE NOW button. Marcus and his family want to thank you ahead of time for your thoughts, prayers, generosity and support. Any donation amount, no matter how big or small is one step closer to a brighter future and better outcome for Marcus. I've been knowing Marcus for along time and I must say he always looks forward to LIVING compared to some people who would have given up. I've seen him when people say this is it but as a friend and many friends of Marcus we came over several days in a row to keep him rolling in LAUGHS 24/7 and the people who said I feel sorry for Marcus are not even here today but MARCUS still is with us 24/7 messing with us every day. This man gives even hope to the LIVING people by his strength for surviving which is a JOY to watch every day MARCUS is with us because he loves to laugh just like I do. If it hadn't been for American Express and B of A which only Marcus and a few close ones only know we have laughed thru it all. Keep up the laughs Marcus because I will be laughing with you thru eternity.